This is a before and after photo of our first job this week . 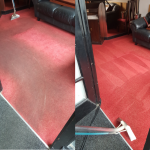 As you can see we can get excellent results no matter how dirty the carpet is . 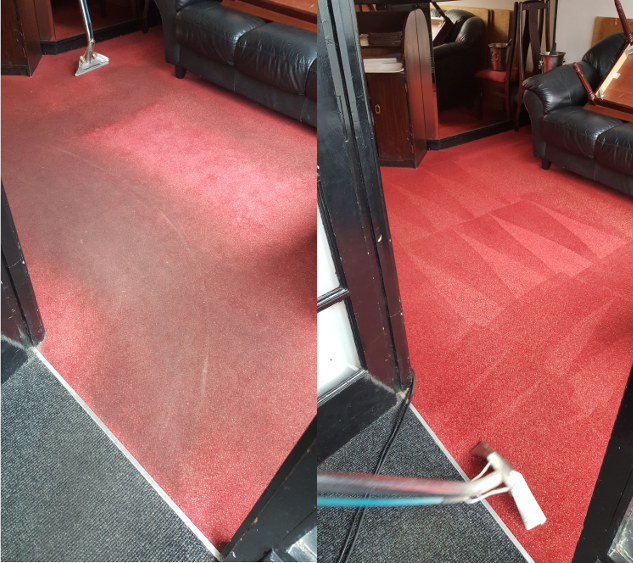 We use different methods depending on how soiled the carpets are , on this carpet we enzyme scrubbed then used hot water extraction. We serve customers in Milton Keynes, Buckinghamshire, Leighton Buzzard, Bedfordshire and Northamptonshire.